Gozo is an island rich in 2,000 years of history, and the design brief for the new Cittadella Visitors’ Centre was to convert the city’s disused stone reservoirs into an experience that would reinforce the historical ties of the buildings, the people and the natural landscape. This visually striking walk-thru exhibition has nine multi-language storytelling zones, (as there are no artifacts to display), beginning with a more traditional exhibit experience of information panels, graphics and interactive touchscreens. Then guests arrive at a stone portal where they are greeted by an image of the legendary mythical nymph Calypso, who enticed Ulysses to stay on her island. It opens and guests enter to find themselves on a short audio-visual journey that echoes all of the peoples who have previously come to Gozo, including Phoenicians, Romans, medieval knights, and 19th century bishops. Calypso reappears and guests pass through another portal to the final zone: the Cittadella Show. Using 16 video projectors and 8 projection screens set within the beautiful stone arches, deep within the high ceiling area of the reservoir, the guests are fully immersed in a 360° audio visual show that brings the entire journey together in one amazing experience. 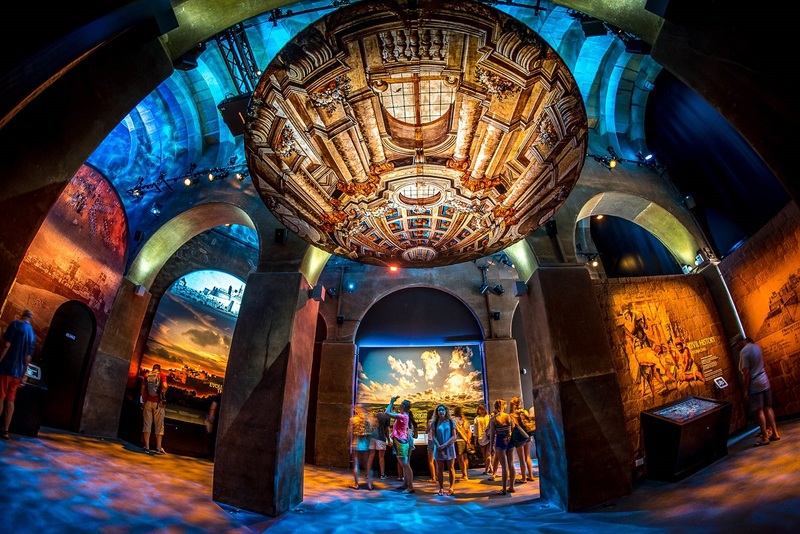 It is the combination of traditional exhibition techniques, exceptional storytelling and the 360° show finale, set in the unique historical environment that make this project so special. Given the island’s small population of roughly 37,300, the fact that this project has exceeded all expectations and attracted 135,000 visitors in its first six months confirms that this is something out of the ordinary. This project’s design team has developed an overall experience that has even moved some visitors to tears, and others to spontaneous applause.